Italiy's first Campionissimo Costante Girardengo came into San Remo with 1917 Milan-San Remo winner Gaetano Belloni. The powerfull Girardengo sprinted away from his Bianchi teammate Belloni and the last of the breakaway group with 200 km to go. 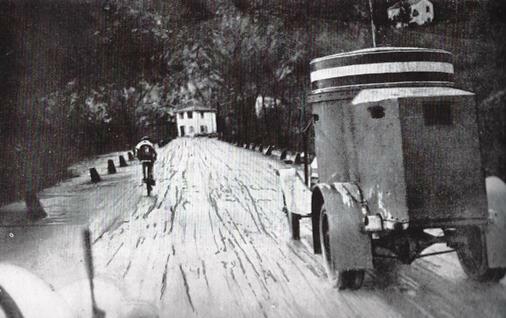 Girardengo's lead grew to 7 minutes over the summit of the Passo di Turchino. Along the Ligurian Coast Girardengo steadily increased his advantage to over 13 minutes. He easily rode into the finish for the 1918 Milan-San Remo victory. SPECIAL NOTE: Costante Girardengo became the first Campionissimo after M-SR's race director Eugenio Colombo coined the nickname for the Italian superstar in 1918. 1. Costante GIRARDENGO (Ita) 11h48'00"
2. Gaetano Belloni (Ita) +13'00"